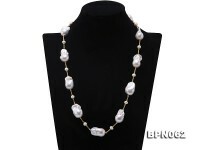 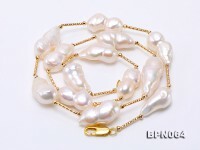 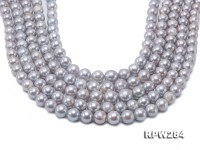 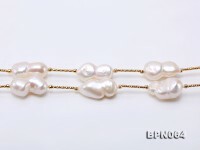 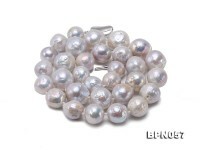 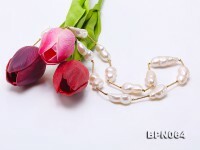 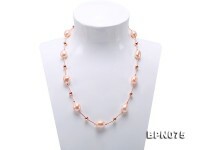 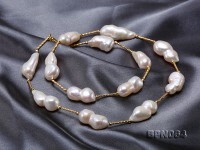 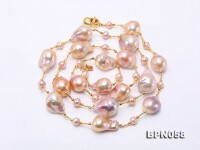 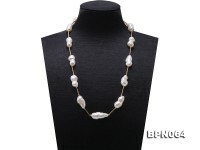 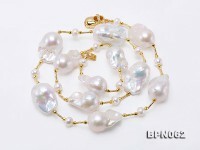 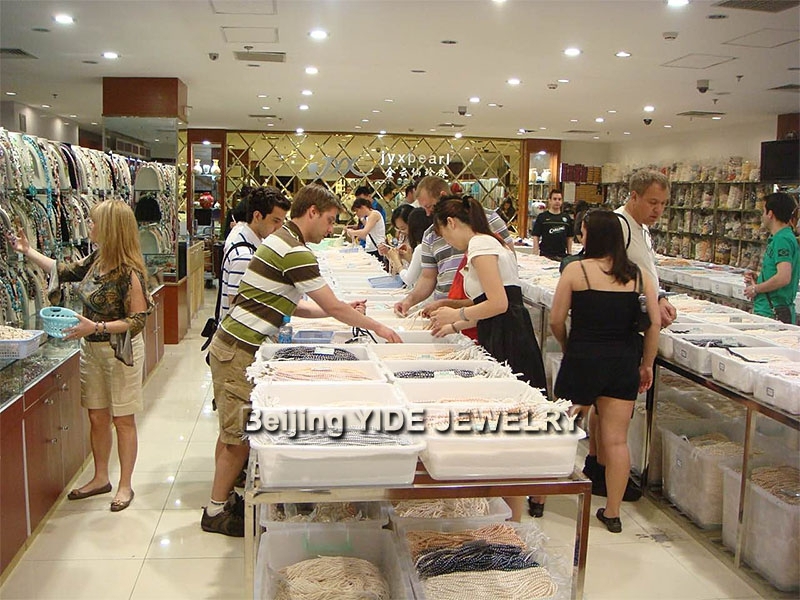 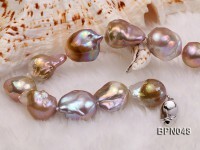 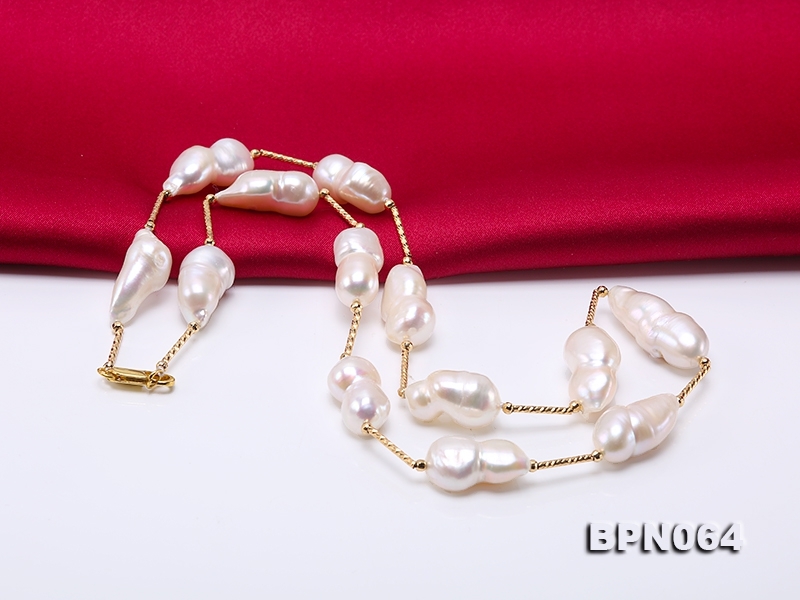 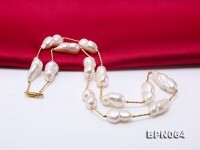 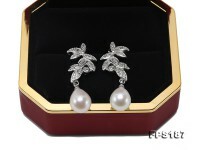 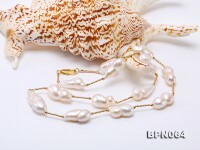 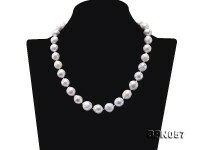 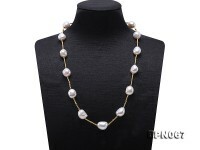 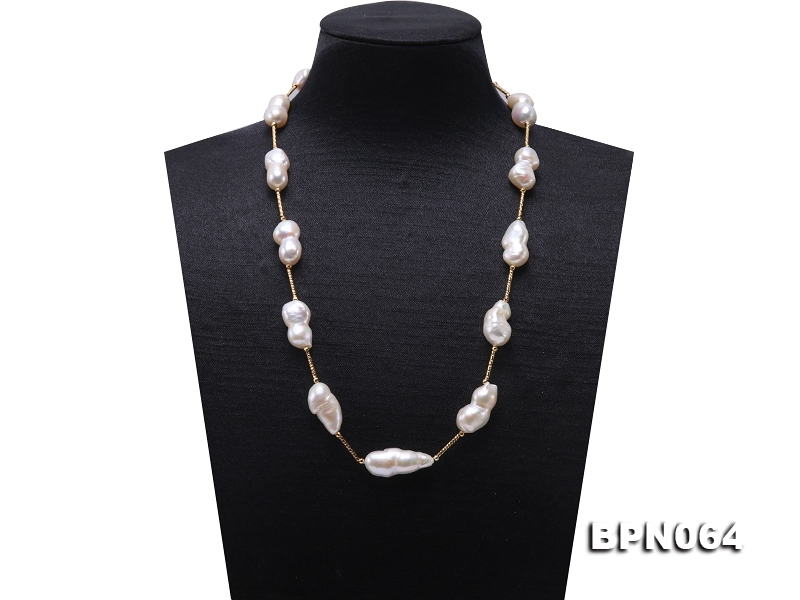 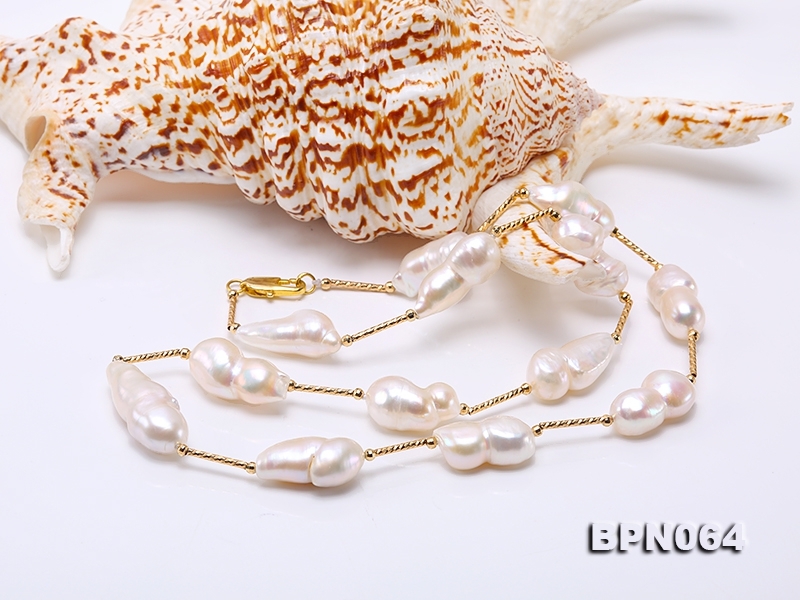 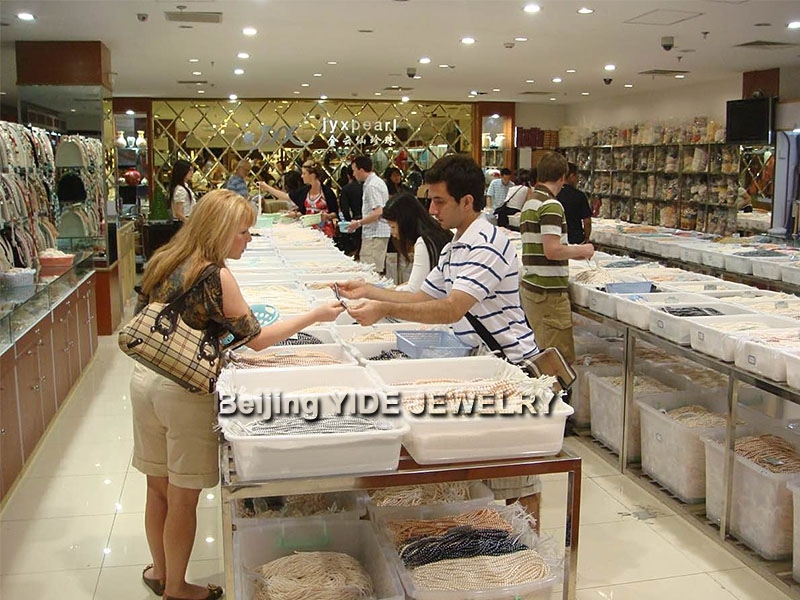 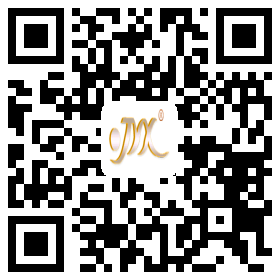 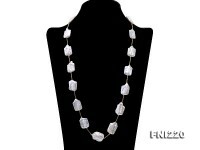 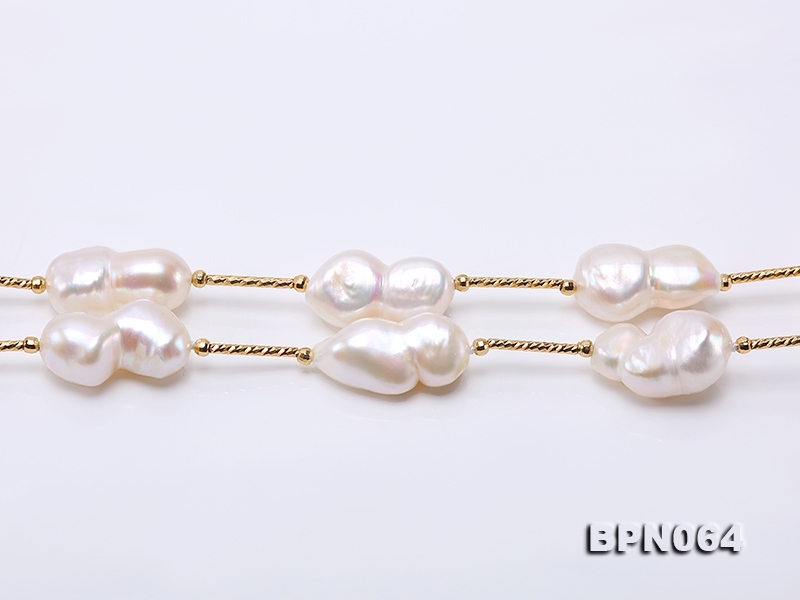 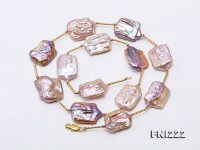 Cost-effective 12×20-11.5×28mm white baroque pearl chain necklace. 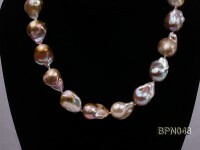 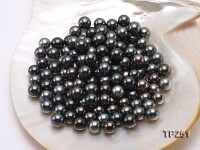 Each baroque pearl has unique shape and the given size is an average one, so there might be certain difference between every two necklaces. 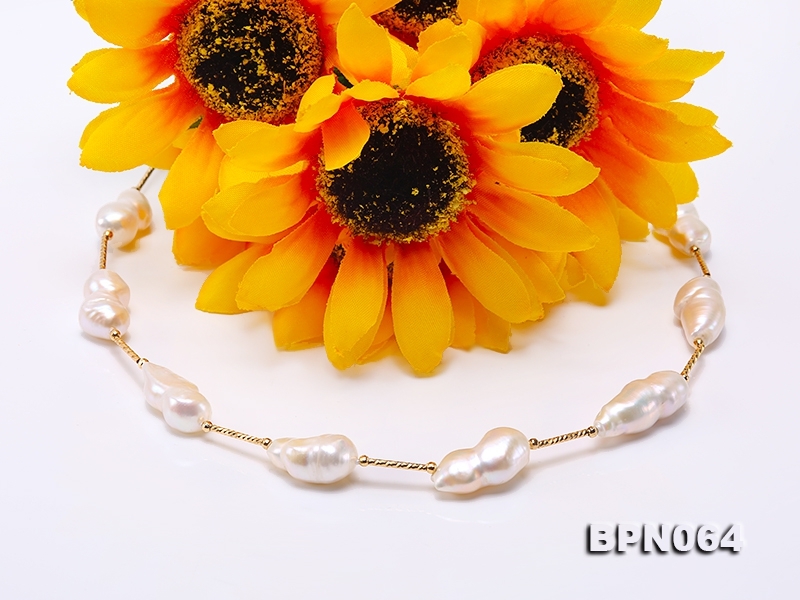 This 20″ necklace is carefully crafted with peanut-shaped baroque pearls alternated with copper tubes and makes a chic all match with both office and party wears.